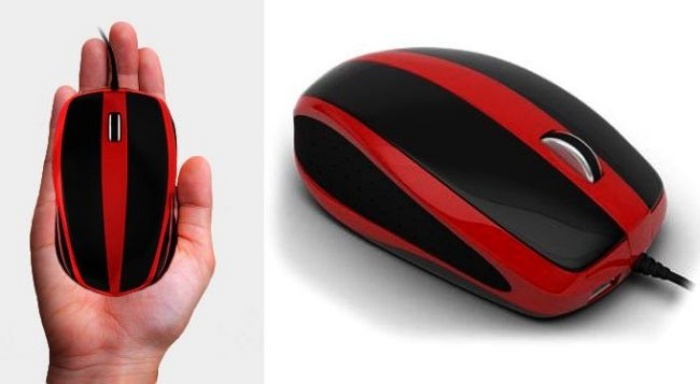 PCs of the Future: Mouse Box is a PC in a Mouse! | OhGizmo! PCs of the Future: Mouse Box is a PC in a Mouse! PCs can’t possibly get any smaller than this– or can they? By “this,” we mean the Mouse Box, which houses a PC inside it. Pretty impressive, considering all you’ll need is a display to get it up and running. The mouse is about the same size as your average mouse. It houses a 1.4GHz quad-core ARM Cortex CPU with 128GB of flash storage, plus a micro HDMI port and a USB 3.0 port. It also features WiFi connectivity, an accelerometer, and a gyroscope. As for power, the Mouse Box is charged via an inductive charging pad. It’s currently a concept for now, but hopefully we’ll see it go into production sooner rather than later.